Google announced this morning that entering in impossible-to-read letter combinations on websites to verify that you are a human will soon be a thing of the past. Realizing that the CAPTCHA process had become obnoxiously difficult over the years as bots became smarter, Google decided to start over and make things easier. They are introducing a new API for websites to use that they are calling “No CAPTCHA reCAPTCHA,” which is much simpler than its name is to type. 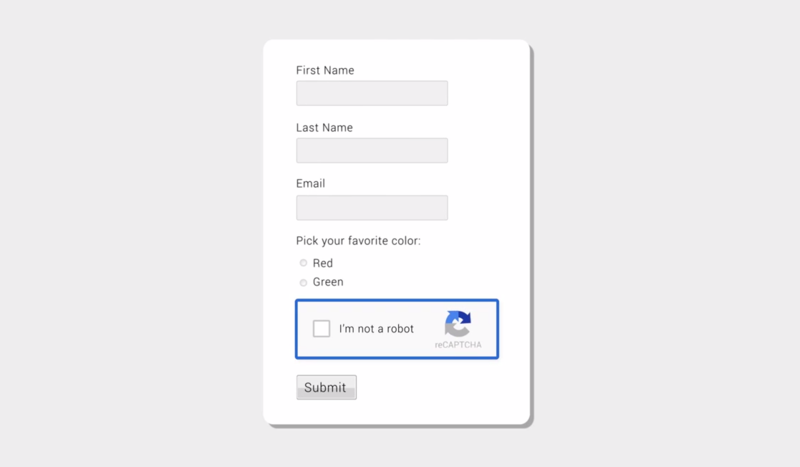 Going forward, assuming the “No CAPTCHA reCAPTCHA” decides you are a human, a simple check of a box is all you will need to do to pass through to your destination, submit a form, etc. Google developed an Advanced Risk Analysis backend for reCAPTCHA last year that (somewhow) “considers a user’s entire engagement” with a CAPTCHA to determine if that person is a human. If it determines that they are indeed human, they can check a box and move forward. If they are not, they will have to enter a CAPTCHA. On mobile devices, the CAPTCHA presents pictures for verification, rather than forcing you to read and type out tiny little letters. While they aren’t exactly upfront on the specific happenings surrounding that “backend” interaction, I’m not sure most will care if they can avoid FACKWORS for the rest of their lives.